and to Filipino global travels! LONDON, England - There are only a handful of Filipino Dentists in the United Kingdom who have graduated and partly practiced their dentistry in the Philippines but are now included in the British Dentist Register. In the past, dentists who studied overseas and hoped to practice had to take the International Qualifying Examination (IQE). All that has been changed into the ORE (overseas registration examination). One of the few Filipinos who managed to pass the ORE in the UK and make it to the British Dentist Register is Marilou Villaver-Denosta, DMD. 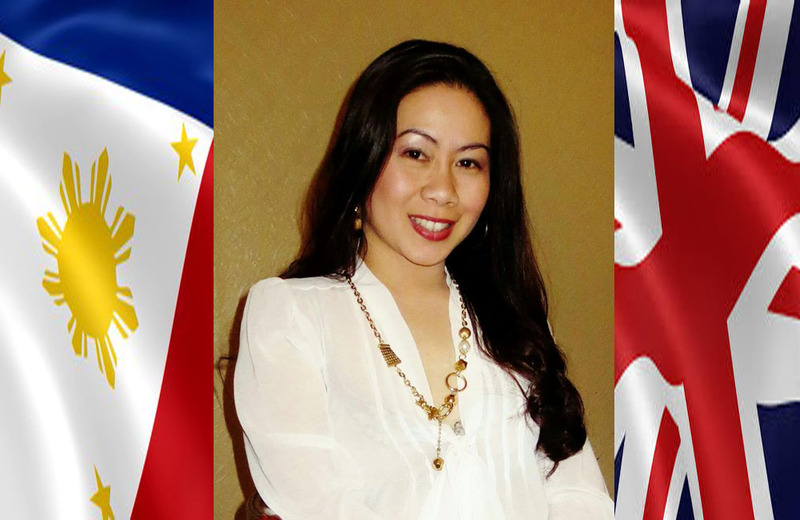 Marilou is originally from Cebu and prior to her moving to the UK, practiced as a dentist for almost 4 years. Right after passing the board exam way 2001, Marilou volunteered as a community dentist in Mandaue City Health Department. Afterwards she joined Macrohon Orthodontic Centre for 2 years, and then moved to the Bernal Dental Clinic where she became the principal dentist. Simultaneously she was also asked to become a Reliever Dentist for PAGCOR Mactan located in the Waterfront Hotel Mactan. When she moved to the UK, she wasn't able to practice her dentistry immediately and could only do associate jobs in the Philippines during her vacations. After a long wait, she said she finally had the guts and money to take the exam to allow her to practice dentistry in the UK. She recently passed it last September 2015 and was registered two months later. She is currently looking for a Dental Foundation Training Post for her to work in the NHS. 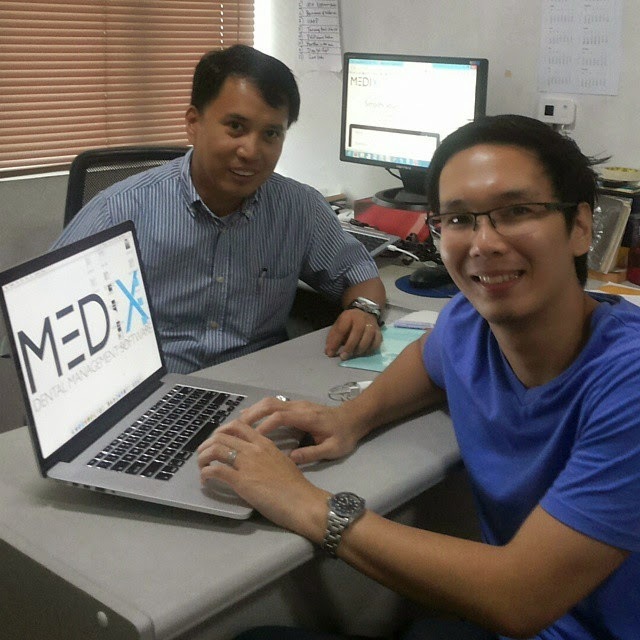 Dr. Denosta says that basic dental education in the Philippines is on a par with other dental professionals abroad. At the moment while waiting for her training post, she keeps herself busy revising for the MJDF (Member of the Joint Dental Fellowship) run by the Royal College of Surgeons in England. She envisions that once she has successfully finish my vocational training, she plans to pursue a specialization in Cosmetic Dentistry and open her own Dental Surgery. In her free time I do online revision courses to other ORE candidates so they too can pass the exam (these are candidates of different nationalities). Marilou says, "It's about time that community of Filipino dentists should be acknowledged the Philippines is amongst one of the best producers of dentists in the world and most of those who find themselves abroad are just settled doing assistant/dental nurse jobs thinking that these qualifying exams are so impossible to pass. Actually, it is very doable!". Dr. Denosta continues, "I wasn't a practicing dentist for 10 years but I took the exam with no formal course in manikin (phantom head) and I passed it!" She says there are a lot of Indian, Pakistani, Nepali dentists who pass because they help one another. On the other hand, Filipinos hardly know any other Filipino dentists taking the exam until the exam day itself when they see each other at the testing site. In the entire northwest of England Dr. Denosta seems to be the only Filipino dentist allowed to practice She adds, "Imagine how many Filipinos are here who have a dental degree but would rather work as in other medical disciplines just to get by. However, I am sure that they would rather work as a dentist if given the chance and encouragement. I hope my story inspires other dentists to take the exam too so that there would be more Filipino dentists practicing in the United Kingdom". 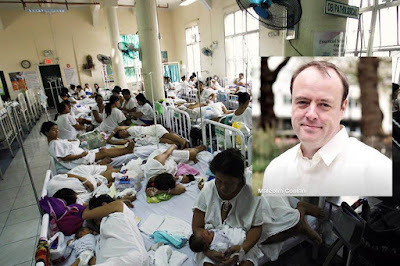 Isn't it about time the Philippines achieves a NHS like in Britain? Have been thinking this morning, how fortunate we are to have a National Health Service here in the United Kingdom. An NHS which offers treatment based on clinical need and not whether you are rich or poor. In fact, even if you are a millionaire, you would be offered the same treatment as a person who is homeless and on benefits. We are so lucky not to have to base the decision on whether to have treatment or not on financial considerations. Whether or not you can afford to even stay in hospital or afford to see a doctor? Now compare this to the Philippines, which incidentally has a first class, highly skilled workforce and professional healthcare system, however unlike the UK, its not free. I know this through personal experience, which I believe gives me the right to share my experience. A few years back, I became sick and was fortunate enough to have private medical insurance. I was transferred from a provincial hospital to Makati Med. I got fantastic treatment, however I had to pay a bill. Luckily this was covered by insurance, however it was still stressful having to sort out the insurance and see the bills mounting up. I do remember distinctly the wife of the guy in the next room, telling me, following her husband having suffered a heart attack, all their savings, business and properties had been wiped out to pay the costs. Of course if you were lucky enough to have been born into a wealthy family or political family, you would end up also in Makati Med ot probably more likely St Luke's. However the difference is, your bills would be covered. In fact even if you were a prisoner awaiting trial, you might still be housed in St Luke's free of all costs. Just wondering how nurses from the Philippines feel here, when they know they can offer advice or support to their patients here, knowing they can have access to the best healthcare without having to ask the patient to pay for it. I expect it must be much better. You see right now, I have my own situation and experience to draw from, my own worries... So once again, we are so fortunate to have a free NHS, long may it continue. Hoping and praying also that just one day, the Philippines and Filipino people could achieve a NHS of their own, so that scenes like that in the photo would be a thing of the past. After all, we owe the Filipino people that much after relying on their skills for so many years abroad. British Ambulance Worker Asks : Will The Philippines Have A Health System Like Britain? Malcolm Conlan shares his thoughts on where he wants to go this 2016! Outdoor Advertising is a viable mass medium in the Philippines. Online resources available for advertisers and ad agencies. 2016 is the year for you to discover and experience Negros Island - the Sweet Spot of the Philippines. Provincial Billboards : Cebu, Davao, etc. The quickest way to get a billboard in the VisMin region is to call a specialist who knows the area. VisMin billboards available. Click here to share Fil-Event and Travel via Facebook. A small gesture can lead to a big change. Your guide to Filipino events worldwide and to Filipino global travels! 2015 is Visit Negros Island Year!